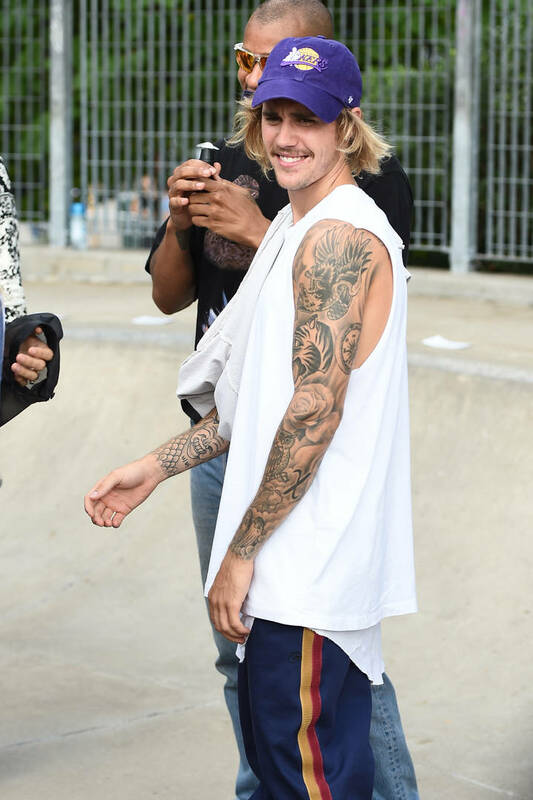 We're all well aware of Justin Bieber's Drew House clothing line and the not-so-cheap offerings of sweat pants, shorts, hoodies and hats. Justin has been spotted numerous times in the apparel, and every now and then he does some promo on Instagram. His recent promotional post has stirred some controversy since people called Biebs out for using a photo of Diddy and his late partner Kim Porter to promote his brand. The image (posted below) sees Kim and Porter posing real hard and was originally shared as a tribute post by Diddy. "This picture will go down in history as the first time I said she was MINE!!!! AND THE FIRST TIME I TOLD HER I LOVE HER, little did I know I was hers," Diddy wrote alongside the photo. Justin re-share had the following caption: "@drewhouse #diddyfordrewhouse @diddy KP YOU WILL ALWAYS BE REMEMBERED FOR THE STUNNING WOMAN YOU WERE INSIDE AND OUT." A few users called Justin out, commenting on how it's disrespectful of him to post a tribute image. "Delete this sir he shared this picture in memory of his wife not for promo for the clothing line,” one person wrote. The "Sorry" singer defended his actions, though, detailing how the Combs family knows he doesn't have any ill intentions.